Cortado has announced the launch of its free cloud desktop application, Cortado Workplace for iPad. The application provides users with central cloud storage for files and documents that can be managed via the app or launched directly with the relevant Office application. In addition, documents can be printed from the iPad to the nearest printer. Cortado's cloud printing process works without relying on a PC or Mac and currently supports more than 10,000 different printer models and all common document types. 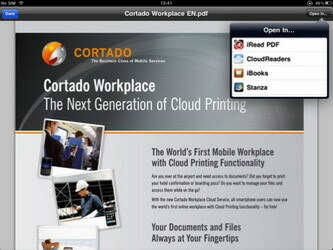 Cortado Workplace app enhances the iPad with desktop and cloud printing functionalities for the mobile user. With the Cortado Workplace app for iPad, managing files and mobile printing is easy without running additional applications on a switched-on computer. In addition, users are no longer limited to printing only photos and do not have the hindrance of a limited number of printer models that are supported for mobile printing. Even Apple’s recently announced AirPrint cannot deliver this type of mobile freedom. Unique to the industry, with Cortado Workplace iPad users can now print documents on any printer connected to the device via Wi-Fi. More than 6,000 different printer drivers on file in the Cortado hosting center allow access to around 10,000 different printer models. 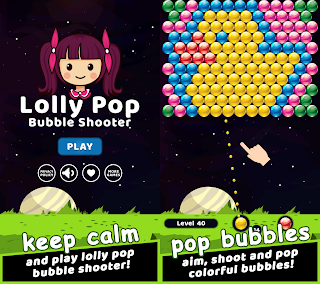 The app supports all file formats, including all Office and graphics programs. Cortado offers 1GB of online storage. This acts as a central storage point for all files. Dual iPad and iPhone users and other smarthphone users can also exchange files from one device to another. Via the app, files can be managed and automatically launched for editing with the relevant Office application such as Quick Office, Documents To Go, Pages or Numbers. The edited document can then be easily stored again in Workplace by simply forwarding it as an e-mail. Cortado Workplace for iPad is available for download FREE on the App Store in the Business category. 0 comments on "Cortado Workplace iPad app allows users to access, edit and print documents wirelessly"